A press release from the Guam Community Coral Reef Monitoring Program. *Check out their upcoming events on their blog or Facebook page (also posted on the AIC Calendar). 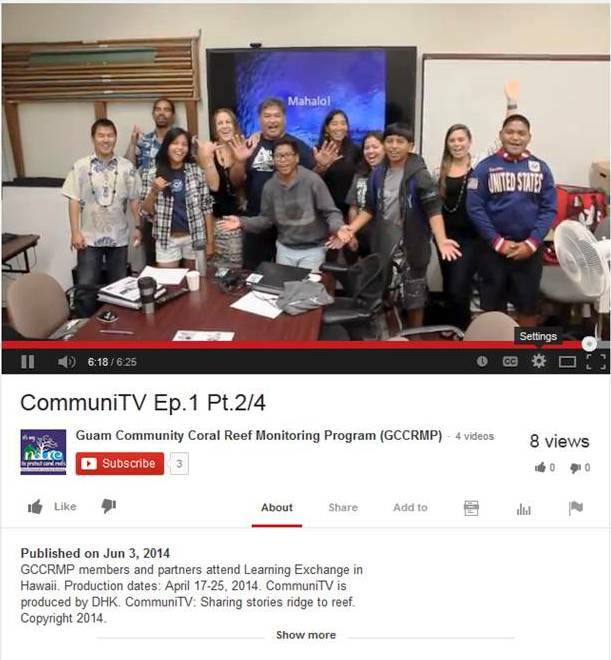 June 6, 2014 – The Guam Community Coral Reef Monitoring Program (GCCRMP) is featured in the first episode of CommuniTV that documented a Learning Exchange between Guam, Saipan, and Hawaii. CommuniTV’s first episode shares the experiences of GCCRMP members and partners with Hawaii counterparts as they talked about community involvement in environmental conservation and education. This episode can be viewed on GCCRMP’s YouTube channel. CommuniTV will showcase other community initiatives by different Pacific Island communities that promote stewardship – from ridge to reef. GCCRMP continues to support Learning Exchange participants’ goals and community activities of environmental education and stewardship. This episode of CommuniTV was supported by the Pacific Island Managed and Protected Areas Community (PIMPAC) and the Micronesia Conservation Trust. 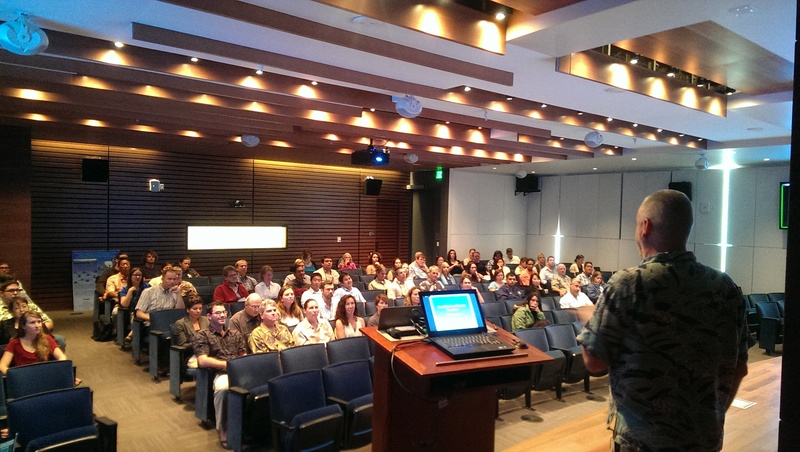 GCCRMP and PIMPAC are funded by NOAA’S Coral Reef Conservation Program. June 8th: Happy World Oceans Day! There are a TON of ways, big and small, that you can get involved and celebrate World Oceans Day this Sunday. Check out the WorldOceansDay.org website for ideas. From switching to a reusable water bottle and reusing/recycling something, to participating in a local beach cleanup and helping spread the word, there really are hundreds of ways you can participate. And, remember, doing something awesome for our oceans doesn’t have to be a once or twice a year event — we can all do something every day to help protect our amazing oceans (& coral reefs too! 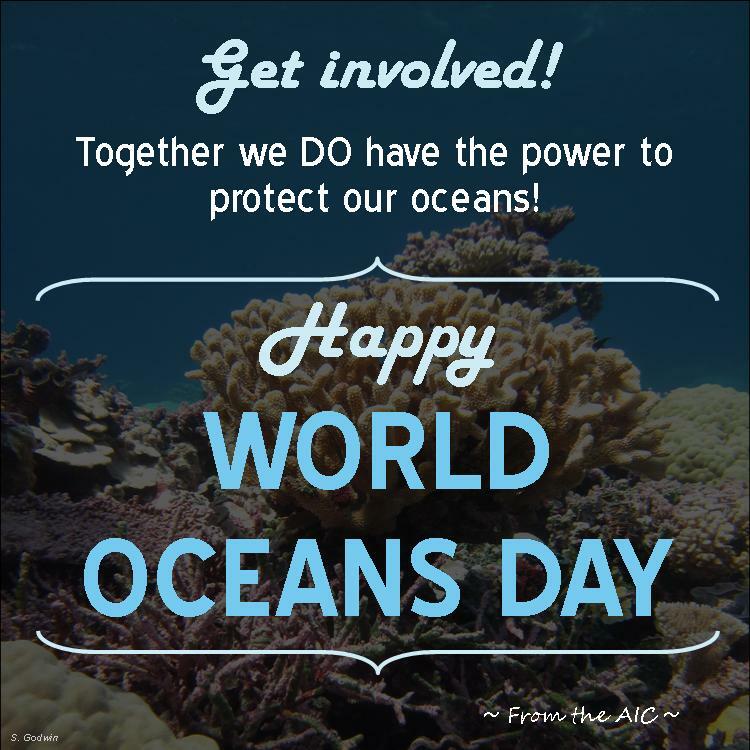 )!Happy World Oceans Day 2014, from the AIC! As is the case in so many other conservation areas, being effective and successful is never a “one-man show,” meaning it simply could not be done (well!) without the partnership and participation of numerous entities working together. In my experience, the “working together” is critical. This is why I was so excited to have been asked to participate in a meeting where building effective communication and relationships were key objectives. 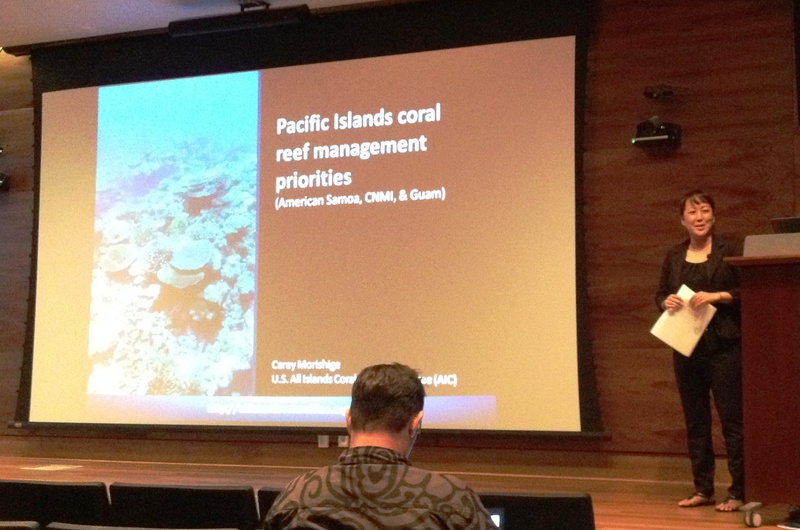 The DAR-NOAA Coral Reef Priorities Meeting took place on June 4th and was held at the NOAA Inouye Regional Center in Honolulu, HI. 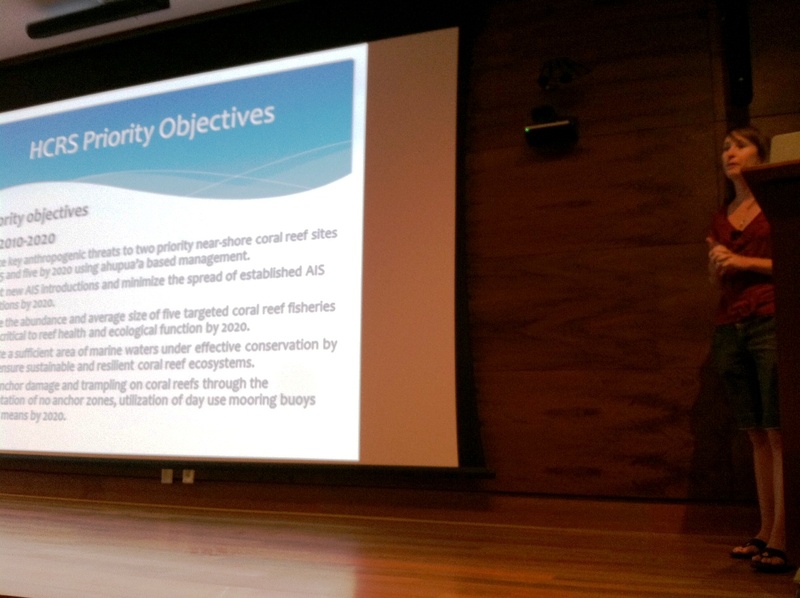 The goal of the meeting was to allow Hawaii’s lead coral reef management agency, DAR, to share local coral reef management priorities with partners who also do work on coral reefs in the state. The meeting was coordinated by the NOAA Coral Reef Conservation Program (CRCP) and Hawaii Division of Aquatic Resources (DAR; part of the Department of Land and Natural Resources). An objective of this meeting was to also help ensure that internal NOAA proposals (to the FY15 CRCP Request for Proposals) are aligned with Pacific jurisdictional coral reef priorities and needs. To this end, I was asked to reach out to the other Pacific Island jurisdictions (American Samoa, CNMI, and Guam) and share their FY15 coral reef management priorities. This successful meeting yielded numerous positive comments and brought together nearly 100 people from Hawaii and across the country. Participants included NOAA staff as well as partners, such as the Hawaii Institute of Marine Biology, Oceanic Institute, University of Hawaii, Western Pacific Regional Fisheries Management Council, and The Nature Conservancy. Continuing to build effective partnerships, through good communication and information sharing, is important to the AIC and I look forward to continued work with all of our great partners. A follow-up meeting will be held in July with NOAA principal investigators intending to submit a proposal to the CRCP internal call for proposals. 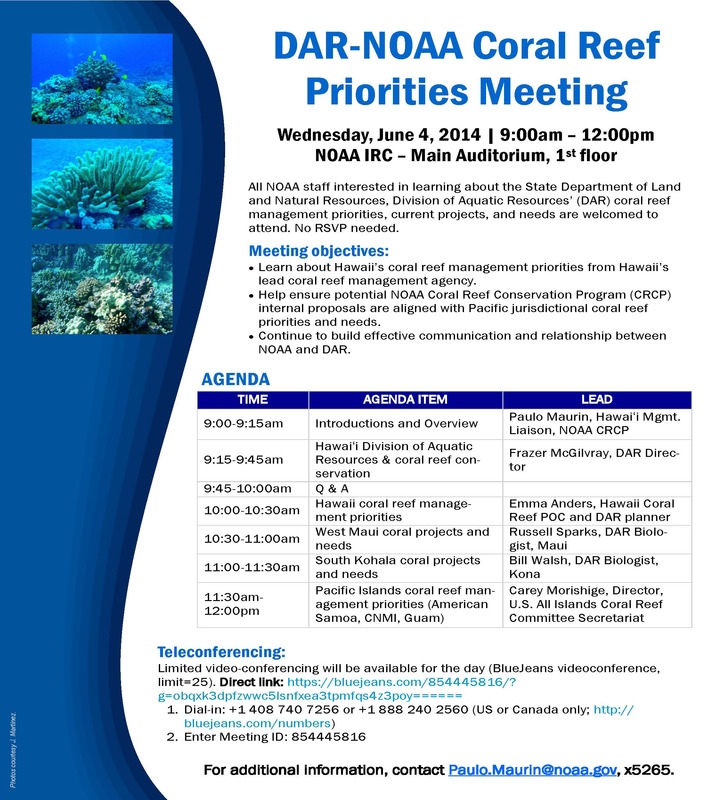 This meeting will allow NOAA to share their project ideas with DAR for feedback and input.